During the 2014-2015 school year, America SCORES Milwaukee became an approved Lead Agency and now provides out of school time programming for children ages K3 through 5th grade. 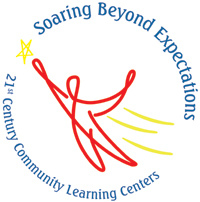 Programs are offered through both the Community Learning Center (CLC) and Safe Place programs. CLC's and Safe Places help strengthen families, reduce crime and improve the neighborhood. Open before school, after school, evenings, and during the summer, we are committed to providing learning, enrichment and support activities that help children succeed. America SCORES Milwaukee's CLC and Safe Place provides a support system that focuses on positive youth, family and neighborhood development. Our programs are staffed by caring adults from within our school, youth-serving agencies, and the community. Their commitment is to provide a healthy balance of learning and fun in a safe and supportive environment. By participating in our programs, your children will have additional hours to learn, which helps increase academic achievement, attendance and graduation rates. Additionally, parents will have opportunities to be connected with the school and their children’s academics. Family events help parents develop skills that will promote personal success. Our programs are rich with interactive and hands-on learning activities. Recreational activities include soccer, basketball, and drama, to name a few. The majority of students participate in Homework Help, as well as one-on-one tutoring Monday through Thursday. Students get assistance to reinforce key skills or build on new concepts learned in class. CLC offers academic, artistic, and cultural enrichment opportunities to students and their families when school is not in session. By providing academic enrichment programs, CLC’s help students meet state and local academic achievement standards in core academic subjects, such as reading and mathematics. CLC’s also provide students with a broad array of other activities -such as drug and violence prevention programs, sports, and volunteer opportunities- during the before and after school hours or during summer recess. CLC’s also serve the families of participants through family activities like literacy night. In partnership with local youth serving and neighborhood agencies, Safe Place offers before and after school educational, recreational, and social activities for youth. 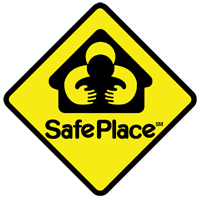 Under the direction of trained staff from agency partners, Safe Place provides youth with opportunities to get help with homework, engage in educational and social enrichment activities, and play in safe environments away from unwanted influences. Safe Place also supports families through opportunities for family involvement in various activities and social events. A nominal program fee is charged. Financial assistance through W2 is available for eligible families.